When a paramedic is called to a scene, he or she is often entering a situation filled with confusion and fear. If someone is injured or ill and a paramedic arrives, the last thing he or she needs is to be confused as to who is trying to help them. Using role-recognition cards like these Badge Buddies for paramedics helps eliminate that confusion. Badge Buddies are Synthetic Paper role-recognition cards that feature a color bar and the wearer's title in bold, clear text. 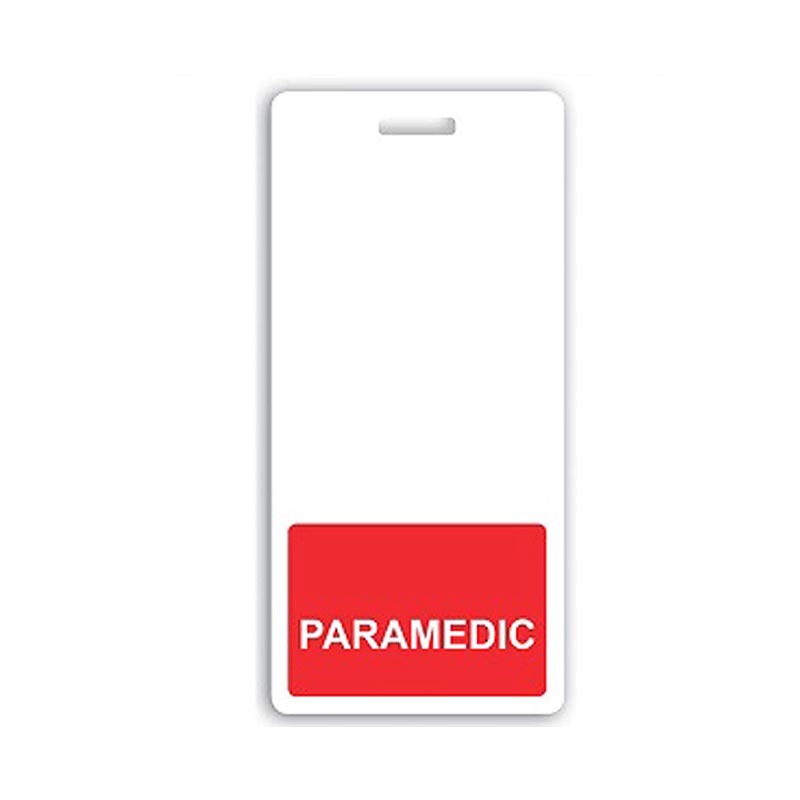 These Badge Buddies feature a red color bar and white "PARAMEDIC" text, making it easy for anyone to see that the wearer is a paramedic with nothing more than a quick glance. By identifying your paramedics, you're not just helping your patients: you're also helping the paramedics, who will be more safe if they can be readily identified as medical personnel and not as strangers. Badge Buddies are combined with an existing ID credential using a strap clip, badge reel or lanyard, creating a full ID solution.